Celebrating Home, our fundraising program is now called LaTeeDa Fundraising. Call us if you have any questions on starting a fundraiser. 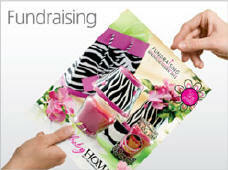 Offering the best of the best in candle fundraising! In 2015 Celebrating Home discontinued offering a party plan and expanded our fundraising programs. With a new name, LaTeeDa Fundraising, we have expanded our programs, offer a wider choice of brochures, products, and fragrances. View our webpage at FundraisingWithCandleFundraisers.com to learn more about our fundraising programs, to view our brochure, to request free information or to schedule your next fundraiser! We can ship brochures and have them delivered to you in just a few days. Copyright © 2004 Home Party Opportunities. All Rights Reserved. No content may be removed and/or used without prior written consent.